On paper, especially if you have prior knowledge about the show’s concept, what I just said must seem silly. After all, how can that be true about a series featuring time travel author H.G. Wells actually traveling through time to stop Jack the Ripper from ripping in modern times? Well, you throw out any personality or perspective that those two characters might have and replace it with public enemy number one of television, teenage drama writing. The venomous snake of storytelling has bit this series and it has bit hard. Characters are constantly shoved into contrived conflict after contrived conflict, but never grow from the conflict, thus making it easier for them to get into more contrived situations. 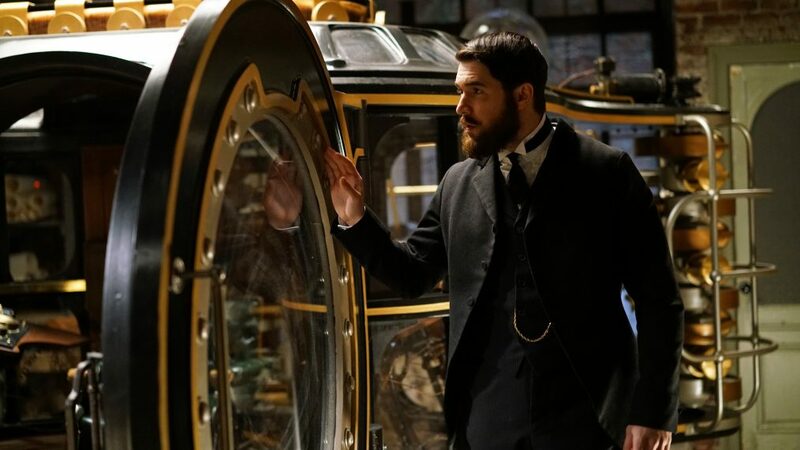 There’s a scene where Wells (who is established as being very optimistic about technology’s effects on the future) has his dreams crushed while watching the 9 o’clock news. H.G.’s entire philosophy is proven to be false by a simple newscast, so how does this affect his outlook? The problem compounds further when the plot gets involved. The driving force behind the plot is the characters, but the characters have no personality outside of what the plot needs. It creates a cycle of meh that just repeats as the episode goes on, which is a shame. Even though the idea of bringing people of a different era into our time is by no means a new concept, the producers still had quite the potential on their hands. Once again, how does a cheery techno-optimist deal with the harsh realities of modern technological advancement? Will he break under the realization or find a new belief? Might he just deny what is happening and hope the further future will prove him right? What about Jack the Ripper? You essentially have a license to go wild with whatever characterization for him you want. There’s a scene about halfway though the premiere where Jack is reading his own Wikipedia page (a scene that should have been the best thing on TV so far this year) and they briefly mention that Jack’s killings were strongly suspected to be motivated by deep-seated misogyny. Why not build off of that? It would be the perfect foil to the rest of the forward thinking cast, as well as 2017 as a whole. Old World hate and murder vs. New World progressivism and justice—now that’s something that any viewer can sink their teeth into. 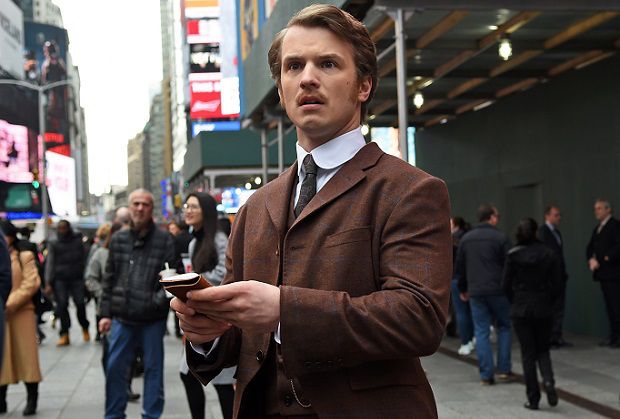 I intend to keep up with “Time After Time” (Sundays at 8 p.m.) and I will hope against hope that it might tackle some of these themes, but previews seem to suggest otherwise. Until that day of deciding comes, I wish the series and ABC the best. TV Talk is a regular television column written by Robert Pulford, Current Staff.